A week ago, Anthony Dicomo had a great Twitter moment. A fan asked: “We’re 14-6, and I feel like we’re 6-14. Why?” Dicomo responded: “Probably because you’re a pessimist!” In many ways, this is true. However, there is an element of truth in what the fan said. The Mets are in first place with a very good record, but something just feels off. In truth, both the fan and Dicomo are right. After the Mets got off to an 11-1 start, the team did something very expected. They ended the streak and got cold. All fans know that teams get hot and cold. Even teams that win 100 games will lose 62. What is great about these Mets is that even when they are not playing their best fans can say… but they’re winning anyway. Amed Rosario struggling both at the plate and in the field. Both catchers are injured… but they’re winning anyway. Conforto, Gonzalez and Rosario all have an OPS under .710… but they’re winning anyway. The starters haven’t finish the sixth in most games… but they’re winning anyway. This team isn’t hitting enough home runs… but they’re winning anyway. It seems that both the fan and Dicomo are right. The Mets are winning even if it doesn’t feel like it, and that is a great thing. Jason Vargas getting slammed in his return to the Mets. Despite this horrific loss the Mets took two of three in San Diego. There is a great proverbial saying in baseball. You are never as good as you look when you win and never as bad as you look when you lose. While this may sound crazy, the Mets actually have a way of looking really smart when they lose, and Mickey Callaway is a big reason why. This past Wednesday, the Mets got pounded 9-1 by the Cardinals. It was one of those awful games. However, Callaway did something clever. After Matz got pulled in the fourth, he brought in Corey Oswalt for his big league debut. Oswalt pitched the rest of the game. It was brilliant in that the Mets avoided using their big guns out of the pen in a lost cause. Corey Oswalt in his major league debut. This isn’t the first time that Callaway has done this. Paul Sewald threw three innings in a loss to Milwaukee. In fact, the Mets have four losses in which the starter pitched six innings or less and Callaway used no more than two relievers. This is evidence of a smart game plan by the skipper and his coaching staff. They know the importance of resting guys who need it. It is long term thinking that will pay off later on. The Mets have also had one common factor in most of their wins. Ten of their wins are comebacks. That is a lot. Hot every team even has ten wins. This includes several late game comebacks as well as extra inning wins. Bottom line, this team doesn’t give up. The Mets have turned into that pesky team that no one wants to face. During the recent cold streak they toughed out several games like the one win in St. Louis. Even the last game in that series would have been one of those gutsy games had Lagares not lost the would-be final out in the sun. When all is said and done, the Mets never spent a day in April outside of first place. We have seen the 2018 Mets, at their hottest. We have seen them cold. If this current cold phase is as bad as it gets, they are in good shape. There is a certain x-factor that is hard to measure with the endless data available. Some teams simply know how to find ways to win while others can’t. 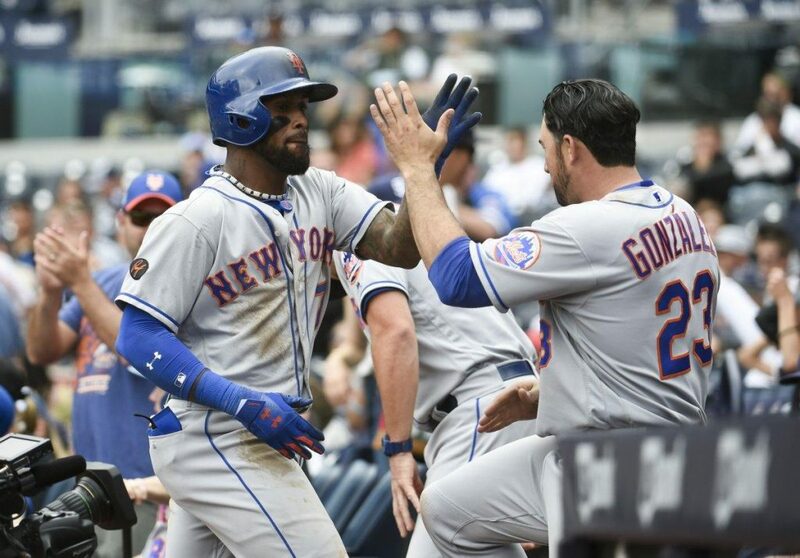 While the season is young, the Mets clearly have flaws that need to be addressed… but they’re winning anyway.